While waiting for that mysterious “next mobile product” from Andy Rubin’s Essential company, some of you might be interested in buying one of the first handsets with a notch at the eleventh hour. Unfortunately, the Essential Phone is listed as “out of stock” on its manufacturer’s official website, where no new inventory will ever be added, according to company statements. The unlocked mobile device has also vanished from Best Buy, while a couple of third-party Amazon sellers are currently charging around $430 a pop, which hardly feels like a bargain. After all, this thing dropped as low as $224 a few months back, fetching $310 shortly afterward, then $329 on Cyber Monday in a special bundle including HD earphones, a 360 Camera add-on, and a protective case for said camera. But there’s no need to feel sorry if you missed all those crazy good deals... as long as you don’t mind committing to a Sprint monthly installment plan. Instead of paying $18.75 a month for a grand total of $450, “Now Network” subscribers can cough up just $210 or so all in all. That’s a measly $8.74 a month for two years with device payment plans over at Best Buy, and perhaps the coolest thing about this special offer is that you’re free to choose either a “Black Moon” or “Pure White” Essential Phone. There are also no bill credits involved, no trade-ins required, or any other strings attached. Commercially released almost 18 months back, the Essential Phone wasn’t exactly well-reviewed initially, but after numerous software updates focused primarily on camera performance, the device is definitely worth purchasing at an ultra-low price of $210. 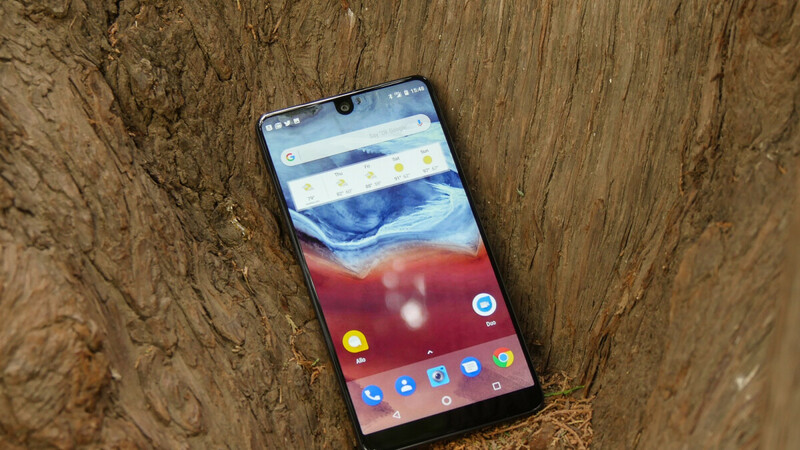 Already powered by Android 9.0 Pie, the Essential Phone is guaranteed to receive one more OS revision, also packing a snappy Snapdragon 835 processor, 4GB RAM, 128 gigs of internal storage space, and a 3,040 mAh battery. There's a catch though. It's for Sprint. Otherwise the Essential phone is a fantastic phone with pure stock Android and fast updates that are faster than most Android One phones. Yep one of my favorite phones of the year. Completely ignored and an amazing value after its price dropped...really nothing wrong with it. And don’t forget the awesome camera that it has! I know I was being sarcastic. It’s all about marketing. It doesn’t matter how great a product is, if you don’t get it out in people’s faces, it’s going to fail. Especially if you’re trying to compete with Samsung, Apple, and Google in the high end market.